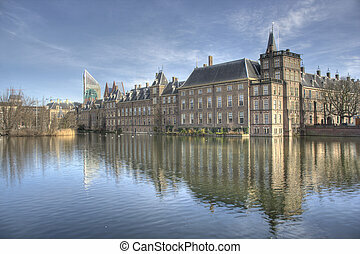 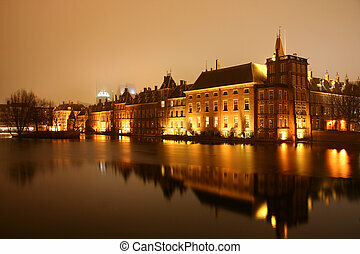 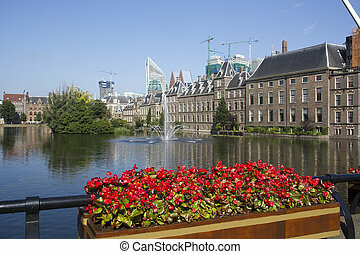 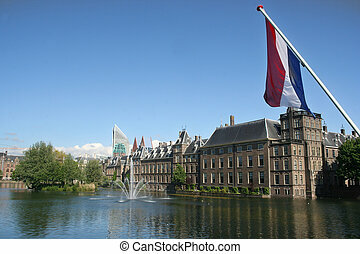 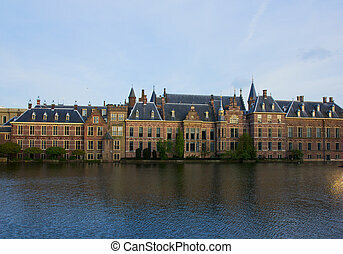 Dutch parliament. 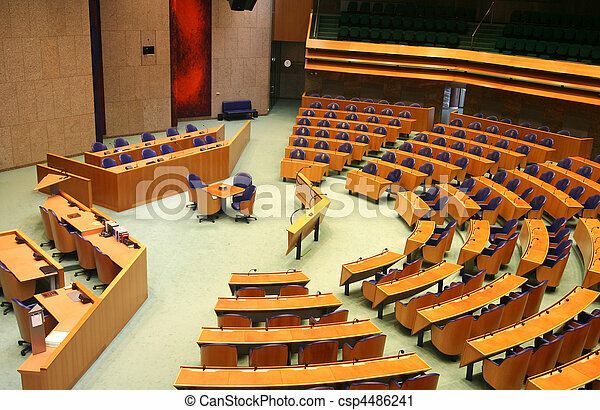 Interior of the dutch parliament. 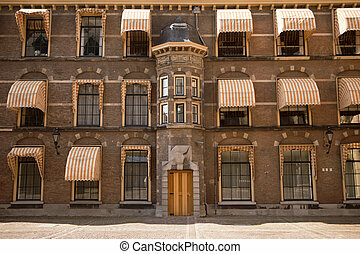 Striped canopies provide shade for the offices inside the inner courtyard of the Binnenhof complex in The Hague is now the seat of the Dutch Parliament. 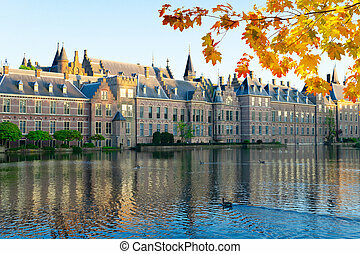 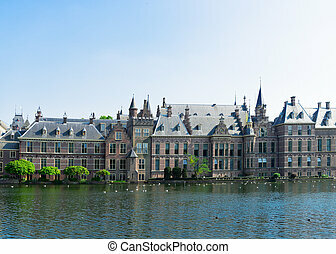 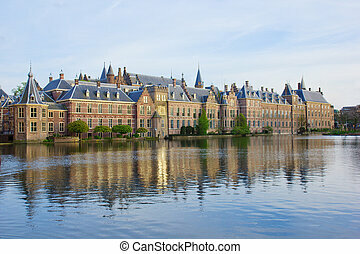 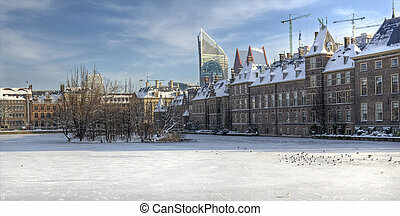 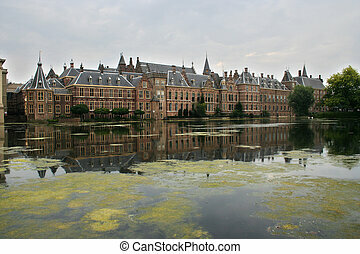 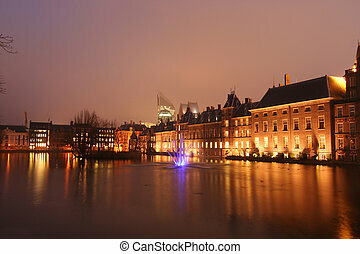 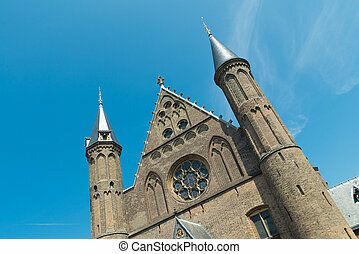 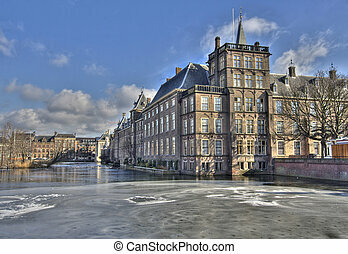 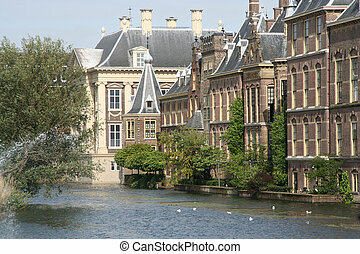 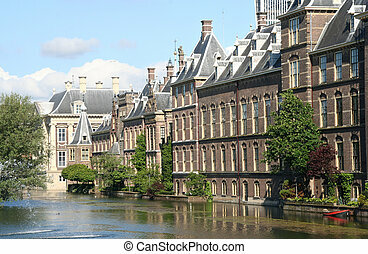 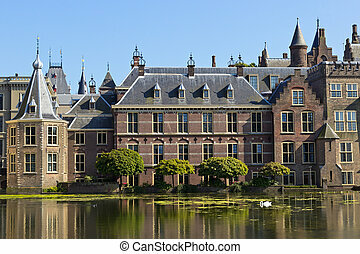 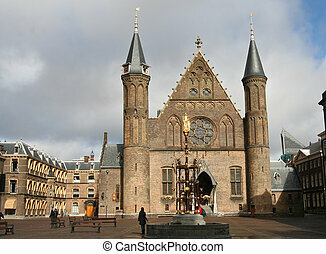 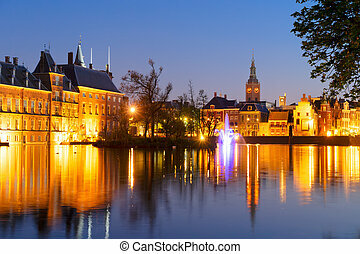 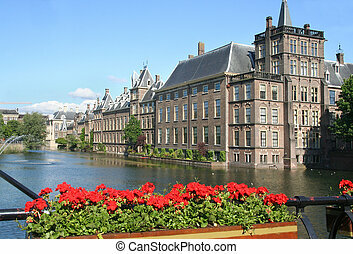 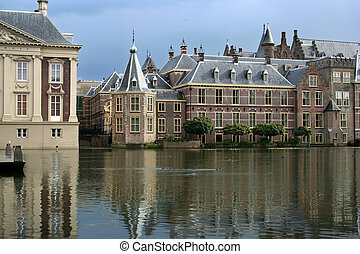 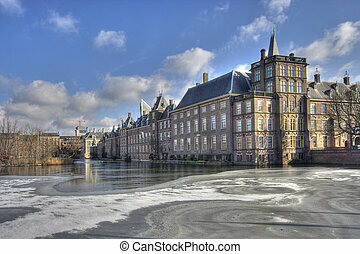 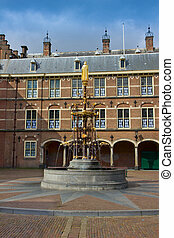 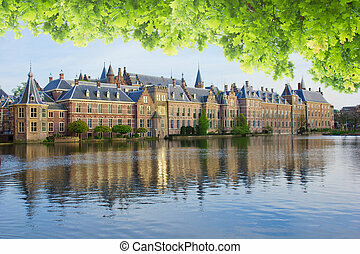 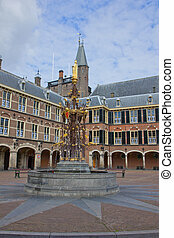 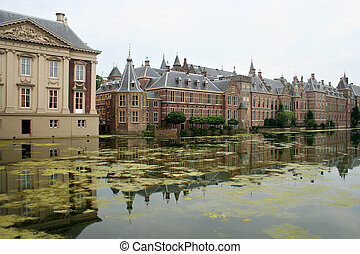 The Binnenhof. 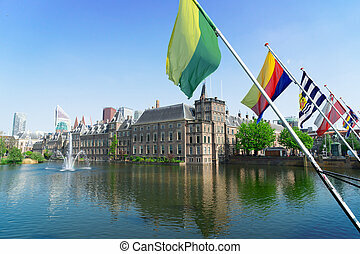 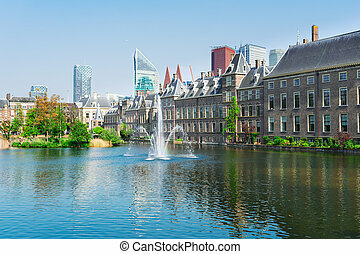 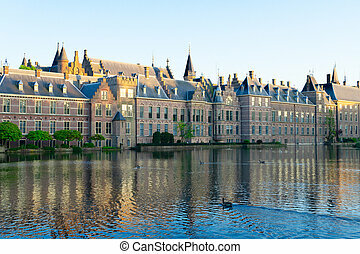 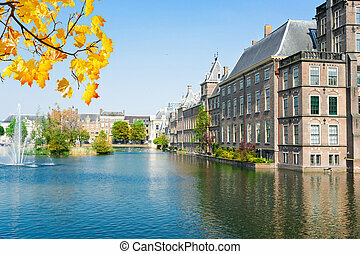 Dutch Parliament buildings in The Hague, with the \\\'Torentje\\\', or \\\'Little Tower\\\', which is the prime minister\\\'s office.